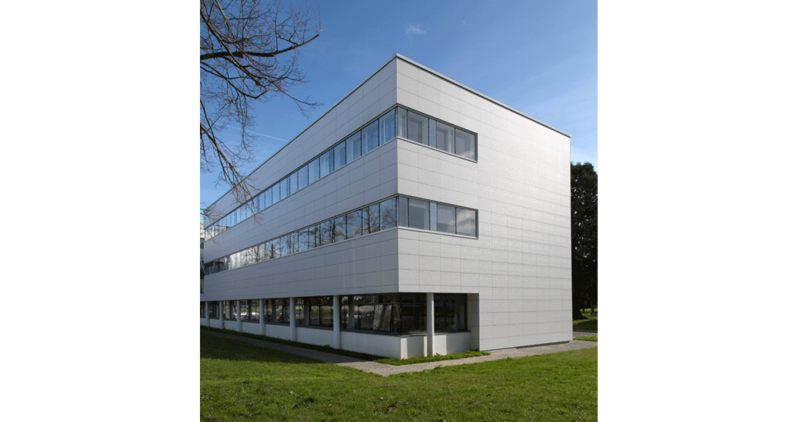 In Rennes, in the north west of France, we can find an important project to which the PORCELANOSA Grupo has contributed. 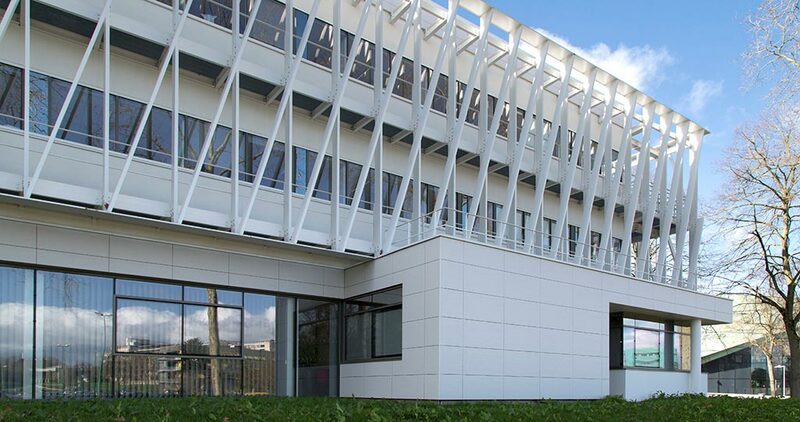 It refers to a building which belongs to IRSET, The French Institute for Research on Health, Environment and Labour; where the unique ventilated façade with the hidden clip system has been installed. 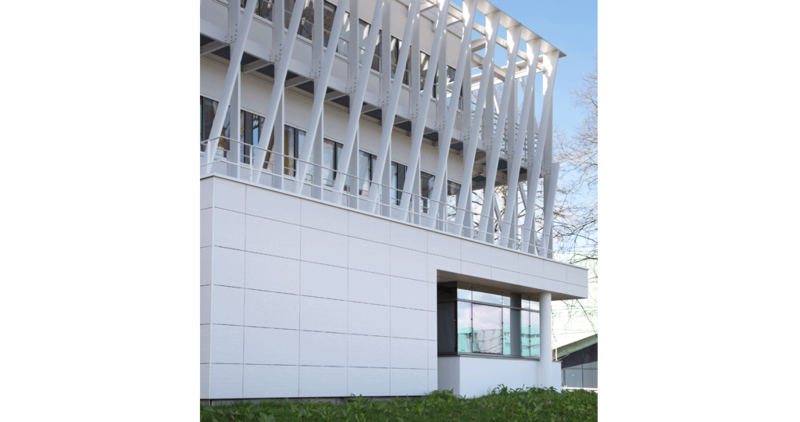 A design which at first was going to have fibre cement on the facade, but after a study carried out by the architects from the Ragueneau & Roux agency, a ventilated ceramic façade was opted for, done by Butech and its building systems. 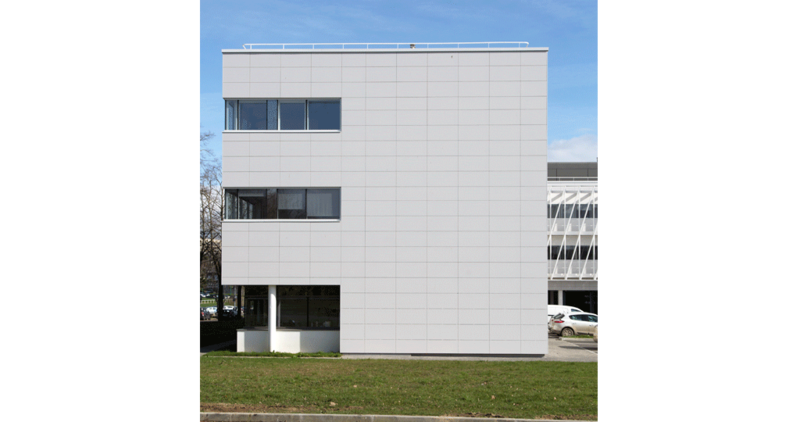 The objective was to get an outer, textured and long-lasting durability surface in white. For this, the Porcelanosa Zen Blanco STON-KER ceramic stone was chosen in a large format: 60x120cm. In particular, this model and format by STON-KER had already been used in a previous Project: on the facade for the new La Cub offices in Bordeaux. The Ragueneau & Roux agency was amazed by the material’s elegance and style, along with its implementation, but above all, because of its strength and durability in relation to the passing of time, shown by STON-KER from Porcelanosa. As well as that, this ceramic stone, apart from being long-lasting, is easier to clean than the fibre cement. 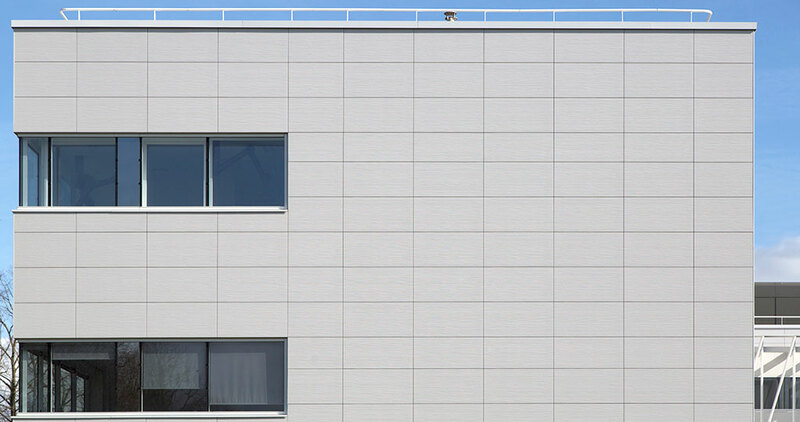 The project, made up of a façade with a surface of 1000m2, revolved around the installation of the ceramic wall tiles with the hidden clips on most of the building. Furthermore, a part of the roof also was fitted with a facade design, and in this case, with the clip system. 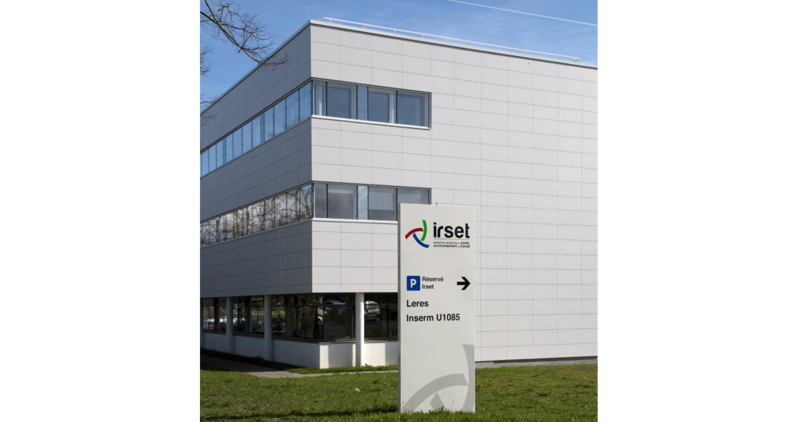 The IRSET Institute for Research on Health, Environment and Labour is a project on a European scale which is unique in France. 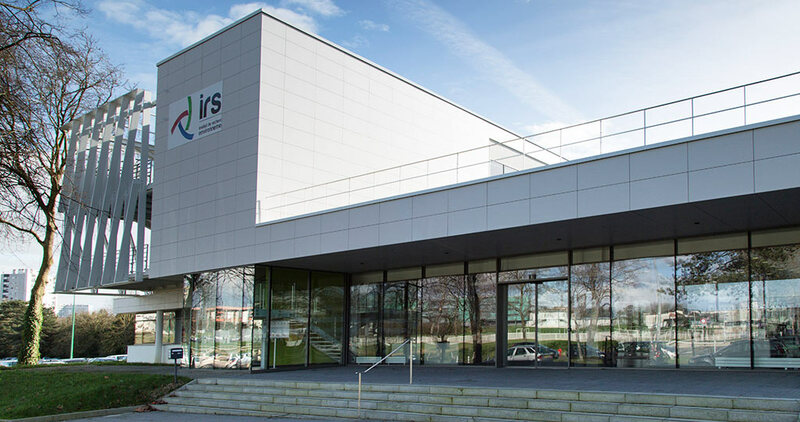 It is based in a new building, from the Villejean campus, in the high EHESP studios, and in collaboration with the University of Rennes. It takes up an area of 7000 m2 in a single location, over 300 expert investigators in various fields, such as: chemists, toxicologists, geneticists, epidemiologists, environmental specialists or radiation specialists, amongst others. Its main objective is to be, at international level, one of the biggest research centres and a source of knowledge about the effects of the environment on our health.